Hitting out at the Mahagathbandhan (grand alliance), Arun Jaitley said, "We have a proper coalition in our government. Arun Jaitley hits out at Opposition's Grand Alliance. 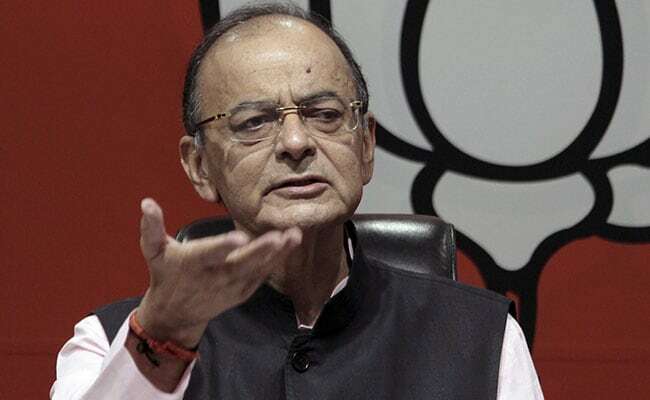 Finance Minister Arun Jaitley on Thursday said that a nation needs a government that finishes its full term of five years and not the one that lasts six months, in a reference to the Opposition's grand alliance. "You need a five-year government, not a six-month government. This is extremely important because politics influences the lives of the people in the country. Not only this, the government formulates policy and the faith of each one really depends on that policy," Mr Jaitley said at the annual conference of Confederation of Indian Industry (CII) in Delhi. Hitting out at the Mahagathbandhan (grand alliance), he said, "We have a proper coalition in our government. But coalition survives in a stable nucleus. You cannot have people making all kinds of announcements as part of their alliance and then sacrifice their regional constituency." Citing the example of Telugu Desam Party (TDP) pulling out of NDA (National Democratic Alliance) over the special category status for Andhra Pradesh, he further said, "Under the 14th Financial Commission, you cannot give special status to any state. We made special arrangements (for Andhra Pradesh) because we had made a commitment. But, when somebody was in a position to pull out and destabilise you, then the biggest danger comes." Taking a swipe at the Congress over its manifesto, he said, "They mentioned that they will bring a law for media. The proposed law will look into cross-media holdings over various segments. It will deal with ownership issue. In the 1960s and 1970s, it was experimented but failed. Even the Supreme Court had rejected this idea. What was found unacceptable at that time has come up today." "The Congress manifesto also says that they will bring a law, set up a commission against the complaint of a judge. Parliament members will hear the complaint against that judge. Actually, this is an emergency thinking and not a regulated economic thinking," the Union Minister said.